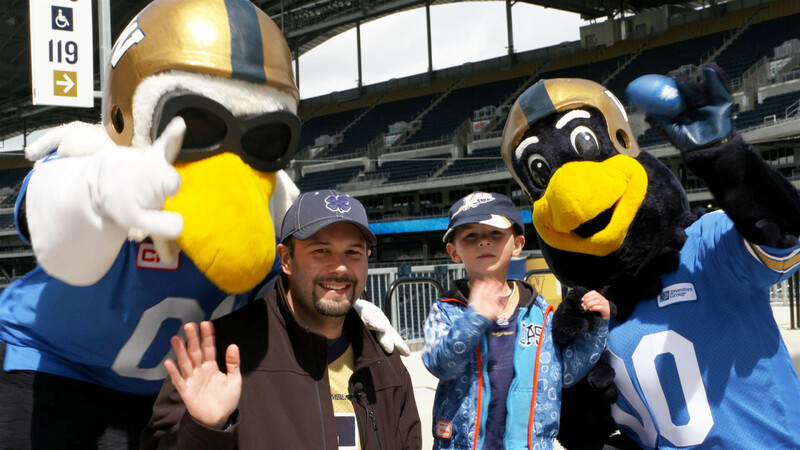 WINNIPEG, MB., April 5, 2018 – Fans are invited to the Winnipeg Blue Bombers’ annual Fan Fest on Saturday, April 27th from 10:00 a.m. to 2:00 p.m. at Investors Group Field. 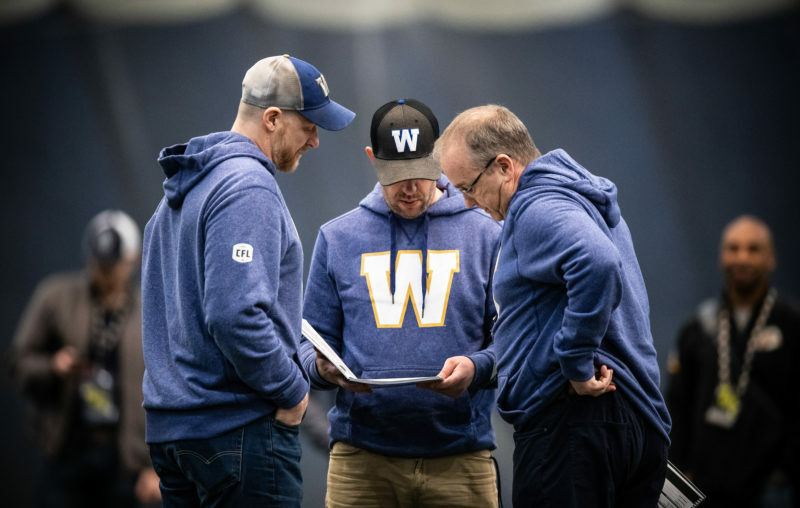 Bomber fans can take part in on-field activities including an inflatable obstacle course and slides, a 40-yard dash station, field goal kicking and a throwing net. Little fans can also meet Buzz, Boomer and Captain Blue, and meet current (Matt Nichols and Nic Demski), and former players in an autograph signing session from 11:00 a.m. to 1:00 p.m.
Complimentary hot dogs, soft drinks and mini donuts will also be available from 11:00 a.m. to 1:00 p.m.
CFL Official Al Bradbury will be offering three 30-minute Let’s Talk Officiating sessions to help fans learn calls and rules of the CFL and have an opportunity to ask questions at 11:00 a.m., 12:00 p.m. and 1:00 p.m. PARKING: Parking in the Bomber Store lot and overflow in U-lot. 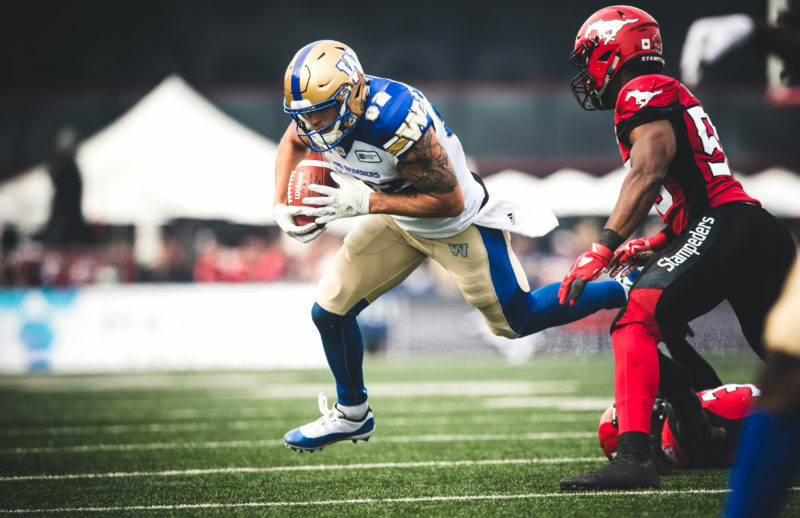 Starting Friday, April 26th, season ticket members can come to the Pinnacle Club at Investors Group Field (enter through the Bomber Store) to pick up their season tickets.